A good quality, Victorian brass trivet. This piece is marked with a registered design number 'REGNo386862'. The mark in on the top of the trivet and can be seen in one of the images. It dates from c.1880. This type of trivet was used for standing a kettle near to a fire. This one is very elaborate in design. 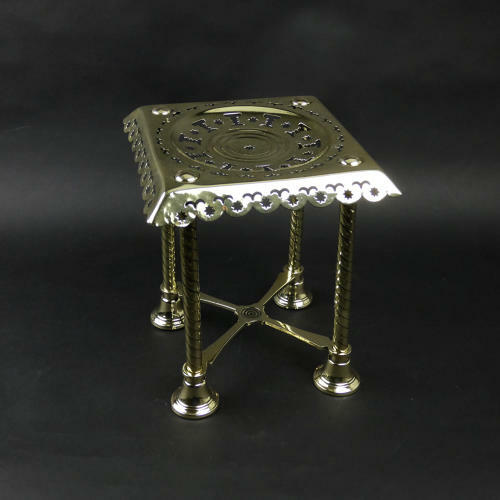 It has four spiral legs with bell shaped feet and the top is intricately pierced with various geometric shapes. It is a very handsome piece and it is in excellent condition.